medical businesses in 25 countries tend to be making advancements in-patient treatment with TrakCare, a unified healthcare information system that allows coordinated care within a medical center or across treatment settings throughout a region — assisting a seamless client journey. Clinicians and directors make use of TrakCare to enhance security and effects, control prices through the elimination of duplicate tests, reduce medication mistakes, expedite billing, maximize resource application, and achieve various other strategic projects. TrakCare’s extensive medical, administrative, and departmental segments share one information repository and now have a common graphical user interface. Information entered when is straight away available to all authorized care providers, enriching the patient record with each connection. Constructed on InterSystems’ wellness informatics system, HealthShare, TrakCare creates a consolidated view of each patient’s record, provides protected usage of records at each point of care and on any Internet-connected device, makes it possible for interoperability with history and future applications, and performs analytics that provide real-time insights to-drive fully-informed activities. TrakCare is a multi-language, multi-currency system that comes pre-configured to meet up with your local demands of geographic areas, lowering implementation risk and expediting deployment. 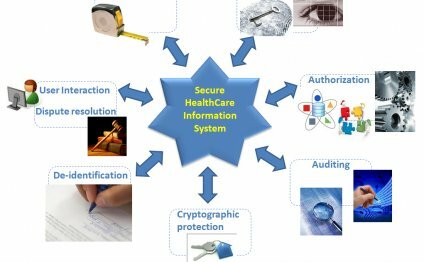 Most today’s Health Ideas System products aren’t unified solutions that share a common information repository, so that they need the acquisition and “bolting on” of extra services and products to deal with interoperability dilemmas – frequently at large prices and with unsatisfactory outcomes. TrakCare is a truly unified system with smooth segments that use one high performance database to keep and share all patient records. This is why, TrakCare calls for just one single login for users, and when data is entered it is straight away readily available through the system. In addition, TrakCare facilitates interoperability with legacy and future programs given that it was built on our higher level integration motor. TrakCare provides analytics being easy to access since they're embedded in its segments. Analytics are done on client records that have been aggregated by TrakCare, therefore clinicians and administrators have the ability to make fully informed choices predicated on total and current information. Real-time administration information is offered through reports, graphs, and dashboards. People see predefined data models and key performance signs (KPI) for clinical and administrative data. With TrakCare’s pre-configured dashboards as well as the ability to drill upon dashboard content, clinicians and administrators are able to monitor – immediately – what's occurring operationally and may simply take more timely activities.